It's Thankful Thursday and for the second week in a row, I'm soooo glad. And no, that wasn't a typo. LOL. It's just so good for me to focus on what I'm grateful for. As I've written before, this is a very trying time in my life. Laurie of Women Taking A Stand is our host. She has chosen the theme of ...SIMPLICITY. It's kind of funny to me but I really do crave simplicity. But my life is far from simple right now. I've had to focus my energy on helping my hubby in his company. I've not had much time for recreation and fun. Working all day from my computer keeps me at home most of the time. However, I've learned much about what's really important. And being at home, there are some advantages and for that ...I'm thankful. Realizing that I don't need material things to make me happy. I use my Kindle (it was a gift) and so I don't accumulate so many books to store. I've sold china, coins, jewelry and much more on eBay and got cash. I don't need to buy trendy clothes. I have a few expensive classic pieces that last forever and never go out of style. I've started to grow herbs to use for cooking. It saves money too. I make 99.9% of our meals at home from scratch. I download recipes online for free. 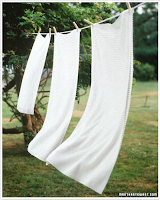 I use a small line dryer instead of using my indoor dryer for clothes, except for sheets and towels. It saves money and I love the smell. I love to start my day in quiet time (prayer, Bible and journal) and coffee of course. So, here are a few photos of my favorite things about simplicity. Fresh basil smells so good! I love the smell of clean clothes. I have a much smaller and collapsable line dryer. I know exactly where to go to find my source of joy and fullfillment. It's not found in any material things, activities or people. It's found in my relationship with the Lord. And for that ...I'm eternally thankful and grateful. I feel better already. See what focusing on being thankful can do for your attitude? Living the GOOD and SIMPLE life is awesome. Simplicity is powerful when we walk in it with understanding. Thanks for sharing with us dear sister. I'm thankful for YOU! What a sweet list Debbie. I love the pictures you shared too. Wonderful post Debbie, and great pictures and tips on simplicity! May we all keep the "main thing" the main thing in our lives. I appreciate your grateful heart. Happy TT! You said: "I know exactly where to go to find my source of joy and fullfillment. It's not found in any material things, activities or people. It's found in my relationship with the Lord. And for that ...I'm eternally thankful and grateful." Love this post, Debbie! So much good can be found in simplicity. I think that, many times, we forget that it can be fun and even necessary to "keep it simple"! What a great list here, I can almost ditto it. 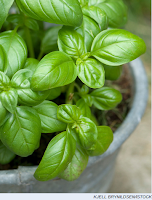 I have been growing herbs for a long time and enjoy them so much, and we have cut way down on eating out, which can so easily become a habit..
simplicity is so light to carry. love the photos. it's so refreshing to go back to basic. What a wonderful list of things my friend. I could have written most of them myself. I was reading about that Kindle thing the other day and was wondering if it was worth it. It would save a lot of space in the ol' hacienda! I love your heart and your simplicity! Hi, this is my first visit to your blog. I found you through Thankful Thursday and I'm really glad that I did. I love your thankfuls and the pics that accompanied them were great. Thanks for reminding me of some other areas in which I can strive for simplicity! Thank you for sharing your heart! It's a wonderful post! So much to be thankful for! And, when we can reduce the worldly interferences, we are more available to hear God speak. Happy TT! I love this list! Thank you for sharing some of your simple tips and ideas with us! A simply beautiful post my friend, love you. I miss having a clothesline! It don't really think too much about the subject of "simplicity", but I must say I've sure arrived there. I relish it's boundary of order, within which I relish equally it's calm. I think it was born of the scripture about how the Lord values the gentle & quiet spirit of a woman (something I sure didn't have as a younger version of me). Some great thoughts here, Debbie, and I love the clothes line idea. It's too dusty where I live, but maybe indoors will work. Your pics are wonderful. Sometimes we get so much stuff that it seems to own us more than we own it. We have to take care of it, wash it, store it, answer it, read it, dust it, clean it, put it away, water it, mow it, fix it.... the list goes on and on. Oh, the simple joys of the simple life. Hm... Love you, h.
Simplicity is good. I always appreciate your Thankful Thursday posts. That was a beautiful post and list offering to the Lord for where He has you right now. Actually, I think that living more simply is what God is calling all of His people to learn to do. We're learning the same lessons - and I, too, am learning to be thankful.